A beautiful vegetable medley that’s ready to eat in 5 minutes. Just saute these beauties in a little olive oil and butter, season with salt and pepper and drizzle a little fresh lemon juice! Very easy, very healthy and very delicious! 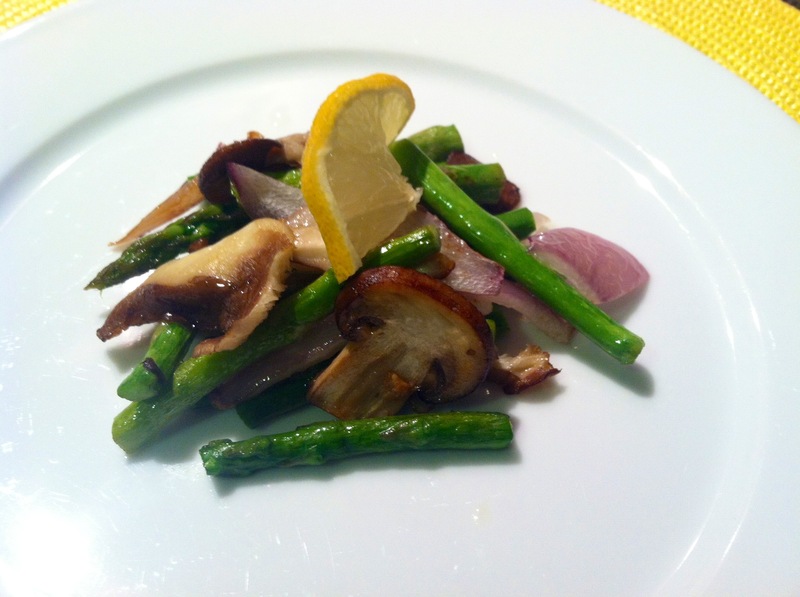 I used a mix of asparagus, mushroom and red onion since they compliment each other and look very pleasing on the plate too! Enjoy! Melt the butter in a medium skillet over medium low heat. Add the oil and when hot add all of the vegetables. Season with salt and pepper. Saute for about 5 minutes, moving the vegetables so they don’t burn. Drizzle the lemon juice over the vegetables . Remove and serve. Thank you for the comment! Yes, my way of cooking too.